Gardenia California Raisin Bun	6	pcs. Get 1 piece of Gardenia California Raisin Bun, cut into half, using a teaspoon scoop to remove the center to have a space for the filling. To make the filling, sauté chopped onions, garlic, ground pork until cooked, add the carrots and potato, lastly add the tomato sauce. Season with salt and pepper to taste. 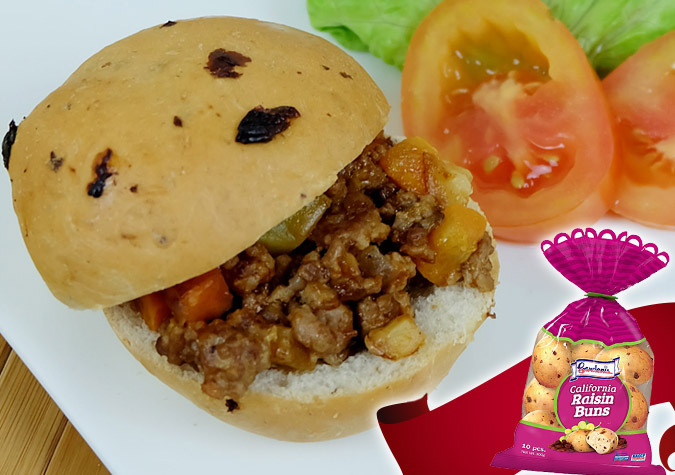 To assemble, fill the Gardenia California Raisin Bun with the picadillo. Serve.